NSSL’s second Doppler Weather Radar, 15 miles west of Oklahoma City. 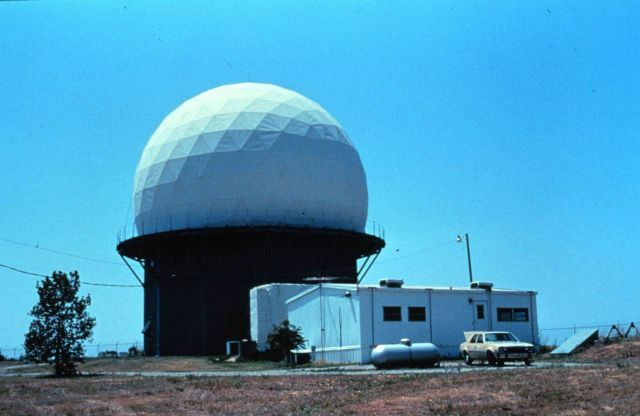 Researchers used this radar and the Norman Doppler radar to study thunderstorms. Doppler radar gave better estimates of winds within storms than earlier radars.